Not realizing the direction my life would take, I regret to say that I only took one Religious Studies course at the University of Toronto. It was a rather broad survey course, probably used as an elective for Nursing students or Engineering students who needed a “soft” course to round out their program. The professor said something that has continued to captivate me to this day. In the previous decade, a hot topic in Christianity had been The Charismatic Movement, a movement marked by instances whereby the ‘Gifts of the Spirit’ were turning up in places not normally considered Pentecostal in theology; not the least of which was the gift of speaking in tongues, or what is known as glossolalia. The teacher said that this was not exclusive to Christianity but that glossolalia was turning up in other faith streams as well, and had longstanding expressions in religions not at all affiliated with Christianity. That rocked my world. To my mind at the time, anyone not following Jesus was pagan, so how could pagans speak in tongues? Or did this confirm the suspicions of conservative cessationists (though I didn’t know that word then) that all of this was of Satan, not of God? …We had walked down Toronto’s Brunswick Avenue following a sign for a yard sale, that turned out to be rather misleading. She had things on sale. And they were in her front yard. But not enough to warrant the block we had walked. As we were about to take a shortcut through a small park, a small building, not much more than the size of one housing lot, caught my eye. As it turned out it was the First Narayever Synagogue. I peered through the window, and someone inside saw me and opened the door. A few minutes later, we were standing in the lobby looking at the inside. It was Sukkot and downstairs there was a crowd of people sharing a meal together in celebration of the high holy day. It was then that the person who had opened the door told us that it was “an egalitarian Orthodox synagogue.” Wait, what? You can do that? It was confirmed that the women — at least the two we saw — were wearing a head covering, one of which was the familiar kippah (or what we sometimes call a yarmulke) normally worn by men. Again, my world rocked. My brain is still trying to wrap itself on the idea of being egalitarian and being Orthodox at the same time. Critics of egalitarianism in Protestant circles argue that this is simply the church capitulating to the broader culture. An echo of the feminist movement of decades gone by, perhaps. But it does mean that the same cultural pressures apply equally in other faiths. The website states, “Our shul follows the traditional Hebrew liturgy, with changes made for the purposes of gender egalitarianism.” That would seem to imply inclusive language. And yet, in matters of theology and practice, still Orthodox. 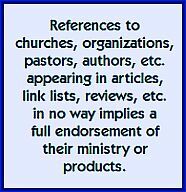 The page also states clearly that their services are what Evangelicals would term “seeker friendly,” and again with no hint of theological compromise; the charge often levied at Christian groups who structure their service to welcome guests. …In another way what we saw reminded me of Next a church in downtown Kingston, Ontario which is characterized by its lack of parking. This is a neighborhood congregation, though again, being Orthodox, many would live within walking distance of the synagogue, since driving a car would constitute doing work on Shabbat. As is taking pictures. We were told that wasn’t possible. The one above is from their Facebook page. The one below we took outside after leaving. 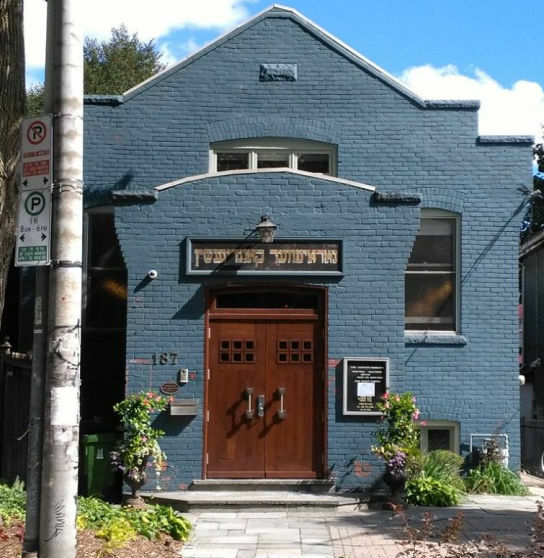 I’ve always wanted to sit through an entire service in a synagogue, but assumed that if I did, it would be one of the major ones in Toronto’s large Jewish community. Now I think I’d rather it were this one! 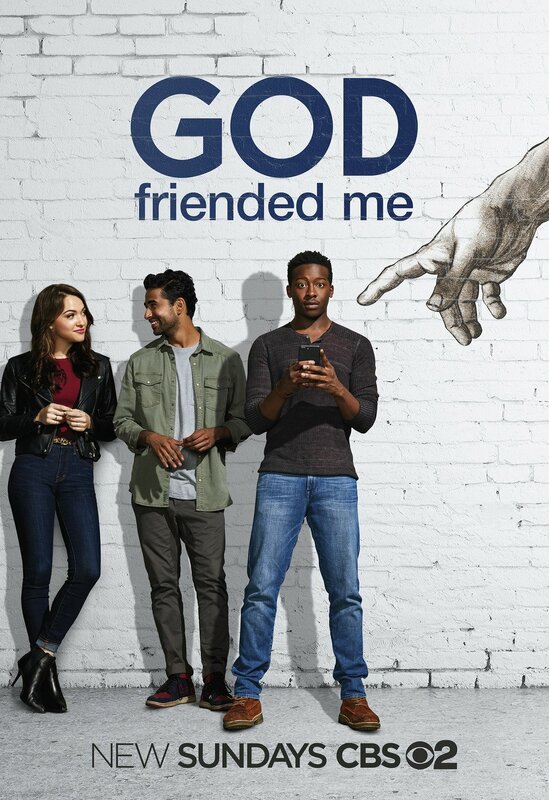 Back on August 27th, I told you about a new series beginning this fall on CBS-TV, and last night, after a 13-minute delay due to NFL Football — you’d think God would have that game under control — the series God Friended Me launched. Miles Finer, the main character is the son of a minister turned atheist following the death of his mother, and is now an aspiring podcaster hoping to have his faith-focused program picked up by Sirius Radio. The producers had said that “When we say ‘god,’ it’s the general — we’re not focusing on one religious figure or portrayal;” yet what was shown last night leaned more toward a Judeo-Christian God, probably due to the need to solidly introduce the main character, well-played by Brandon Michael Hall. So while the premise is multi-faith — “In the cast, Violett [Beane]’s character is Jewish, Miles (Hall) is an atheist, Suraj [Sharma] is Hindu.” — the execution of the pilot episode was more one-sided by necessity. That will may shift in future scripts. If I have any takeaway from the show, it’s the extent to which individuals at large have their God-picture shaped by circumstances. One of the many comments on Twitter compared the show to Early Edition, and there are certainly a number of story vignettes involving characters in the right place at the right time, except that here the characters are connected, their stories are intertwined well beyond the realm of coincidence. For some reason, I was reminded of Lost in the sense there is probably more backstory to the characters than we’ve seen — plus new ones which can be introduced at any time in future episodes through friend requests — and due to the story’s quest; in the case, the Holy Grail being finding out who is behind the “God” social media account. All that to say that our view of God — even among those of us Evangelicals who contend that the object truth about God is clearly stated in the scriptures — is often subjective. The pilot’s treatment of both belief and skepticism is respectful. Though the tension is certain there in the father-son dynamic, both viewpoints are given equal credibility. The show’s downside on broadcast television is that CBS consistently stacks the commercial breaks on all its programs with more clutter promoting other shows than any other network. –“Blip-verts, anyone? — so there is also wisdom in waiting for the Season 1 DVD, though the show needs viewers now for that DVD to happen. One review concluded: “Should You Accept a Friend Request From God? I guess that depends on whether you’re still even active on Facebook. If God were smart, he’d pivot to Instagram and connect with the teens via dank memes and absurdist humor. He’s already on Twitter, but that site’s a good approximation of hell.” You decide. If You Could Change Denomination or Religious Tradition, What Would it Be? If you could belong to another Christian denomination or religious tradition what would it be and why? While respondents didn’t give their current status, the list of idealized destinations did contain some interesting results. I wondered what their readership is like (nearly 40,000 followers) and what the results would look like if the survey had been conducted by research organizations such as Barna, Pew, or LifeWay. Of 110 responses, several mentioned faiths lying outside of Christianity, such as Sikh, Unitarian Universalist, Baha’i, Buddhist, Wiccan and Church of the Flying Spaghetti Monster. There was only one mention of Islam. In what I would argue is a class by itself, 7 or 8 people said Jewish, one even specifying Reform Judaism. The Eastern Orthodox was mentioned a few times, though some of those were from people who had already tried it. Mennonite, Amish, Anabaptist, Wesleyan, United Church of Christ and The Salvation Army each received at least a single mention. Of the more mainstream Christian denominations, Presbyterian received the most votes — One reason, “because I’ve got waaaay more debts than trespasses.” — as well as Evangelical Lutheran (ELCA). If you have a Twitter account you can still comment (click on the image above) but really the thing needs a much larger sample size to count for anything. Is the grass greener somewhere else? Are people feeling a yearning of discontent in relation to where they are? My own comment — skirting the question — was that I didn’t see people lining up to become Assemblies of God or Baptist. Perhaps that’s the nature of the readership that Unvirtuous Abbey receives, or perhaps it means something more significant. What do you think? How would you — if you’re not on Twitter — answer their question? Witnesses and overseas activists said the paramilitary People’s Armed Police used dynamite and excavators to destroy the Golden Lampstand Church, which has a congregation of more than 50,000, in the city of Linfen in Shaanxi province. 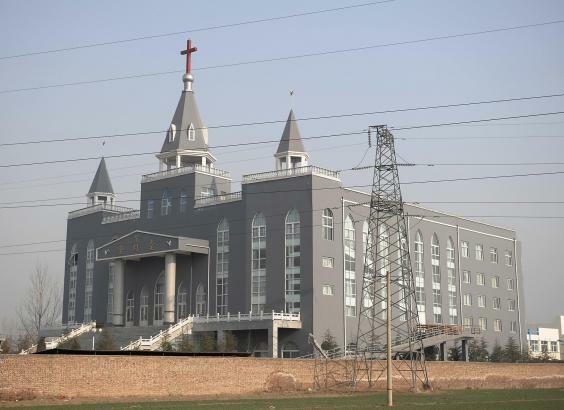 ChinaAid, a US-based Christian advocacy group, said local authorities planted explosives in an underground worship hall to demolish the building following, constructed with nearly $2.6m (£1.9m) in contributions from local worshippers in one of China’s poorest regions. The church had faced “repeated persecution” by the Chinese government, said ChinaAid. Hundreds of police and hired thugs smashed the building and seized Bibles in an earlier crackdown in 2009 that ended with the arrest of church leaders. Those church leaders were given prison sentences of up to seven years for charges of illegally occupying farmland and disturbing traffic order, according to state media. There are an estimated 60 million Christians in China, many of whom worship in independent congregations like the Golden Lampstand… But the surging popularity of non-state-approved churches has raised the ire of authorities, wary of any threats to the officially atheist Communist Party’s rigid political and social control. 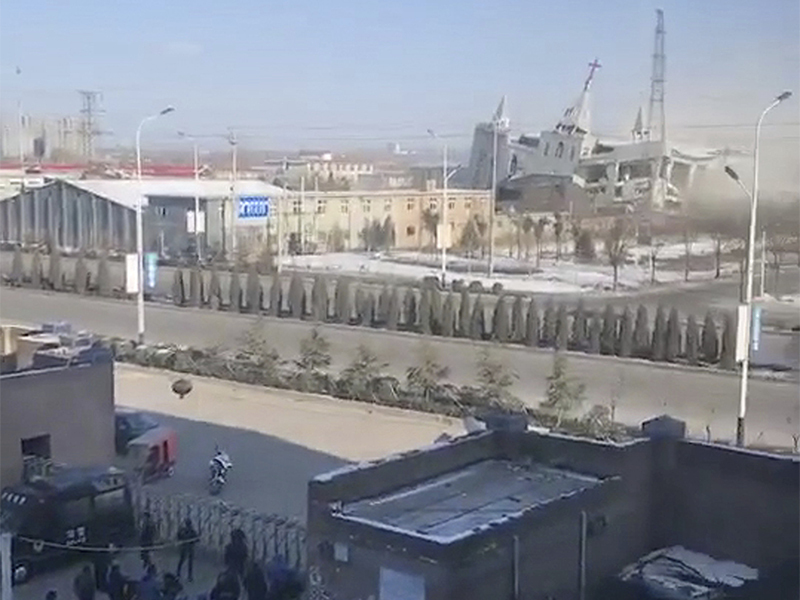 In this image taken from video shot Tuesday, Jan. 9, 2018, by China Aid and provided to the Associated Press, people watch the demolition of the Golden Lampstand Church in Linfen in northern China’s Shanxi province. Witnesses and overseas activists say paramilitary troops known as the People’s Armed Police used excavators and dynamite on Tuesday to destroy the Golden Lampstand Church, a Christian mega-church that clashed with the government. …A Catholic church in the neighbouring province of Shaanxi was also reportedly demolished last month, 20 years after it originally opened. …According to China Aid, a Texas-based Christian human rights organisations, congregation members were beaten by 400 officials during an incident in September 2009 which resulted in church leaders receiving lengthy prison sentences on charges such as assembling a crowd to disrupt traffic and illegally occupying agricultural land. Bob Fu, founder of China Aid, said: “I think this might be a new pattern against any independent house churches with an existing building or intention to build one. Chinese authorities have taken a harder line against practicing Christianity since 2013. …A pastor at a nearby church, who did not want to be named for fear of reprisals said there were “more police than I could count” preventing a crowd on onlookers and worshipers from approaching the site. He said: “My heart was sad to see this demolition and now I worry about more churches being demolished, even my own. We almost walked by this little office, but the word “Evangelisher” caught my eye. A wonderful 15-minute conversation awaited us inside. Actually, if a search engine brought you here and you’re looking for the definitive article on this subject this isn’t it. If you can deal with the pop-ups, this website is quite helpful. 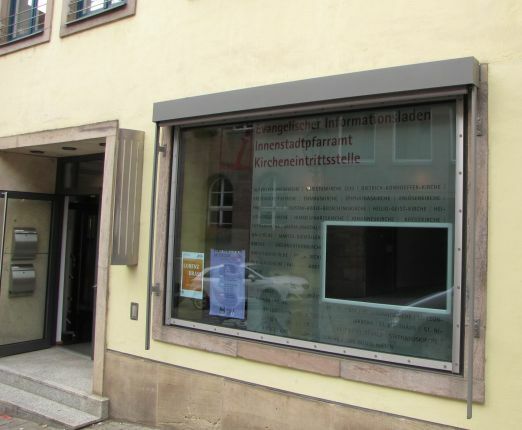 But I do want to share some impressions we took away from a very brief meeting with an English speaking worker at Evangelisher Informationsladen in Nuremberg, Germany. North American ears probably miss the significance of the phrase “registered church.” It’s part of life in many parts of the world. In Germany it’s significant in terms of the church itself being registered with the government, but also that members identify with a registered church. And here it gets interesting: 8% (in some areas 9%) of the members’ personal income is taxed and given to the church. Solves the whole tithing problem, I suppose. Or does it? Stay tuned. If you did click the first link (above) you noted that a lot of people simply have themselves taken off the rolls in order to avoid the tax, even if they continue to hold a personal faith. That alone is enough to skew religious affiliation data. In both the Czech example mentioned a few days ago and this situation, it means potentially there might be more Christians in Europe than any official government stats show, just for different reasons. But here’s another factor: Newer Evangelical or Charismatic groups don’t register at all. They meet in homes or find other spaces. Our contact was worried that these groups are becoming more numerous and more vocal. …A few weeks ago Bruxy Cavey at The Meeting House in Oakville, Ontario told the story of a visitor asking, “How do you fund all this?” I guess he thought there must be some support at one or several levels of government in order to maintain their megachurch auditorium and adjacent Christian education meeting rooms and classrooms. Bruxy explained the people support it, but we know statistically that North Americans, on average, are not tithing 10%, or even 8%. Do Christians in Germany make additional contributions? Is the offering plate passed on Sunday morning? Giving is part of Christian worship, so we must assume that is the case, but would someone contributing through payroll deductions bother to put anything additional in the plate? That was a question we didn’t get around to asking. German bishops – who each earn an average salary of 7,000 Euro per month (some up to 14,000 Euro along with free housing and cars, according to Lohmann) – issued a decree in September 2012 calling such departure “a serious lapse” and listing a number of ways they are barred from participating in the life of the Church. The decree specified that those who do not pay the church tax cannot receive the sacraments of Confession, Communion, Confirmation, or Anointing of the Sick, except when in danger of death; cannot hold ecclesial office or perform functions within the Church; cannot be a godparent or sponsor; cannot be a member of diocesan or parish councils; and cannot be members of public associations of the Church. If those who de-registered show no sign of repentance before their death, they can even be refused a religious burial. And while these penalties have been described as “de facto excommunication,” the Pontifical Council for Legislative Texts, wrote in a March 13, 2006 document that opting out of taxes in a civil situation was not the same as renouncing the faith, and thus excommunication did not apply to such persons. So while a cursory reading of a statement like, “The church gets 8% of the personal income tax collected;” seems to indicate a measure of financial strength and stability, declining membership and secularization would seem to threaten the future of that source of funding. A reader wrote asking if I’d ever reviewed any books by Denver Snuffer. I get requests to review self-published books all the time, but this time I found the name intriguing and next thing, I was reading a number of articles on his blog. He’s written a number of books, and has an additional website commemorating the 500th anniversary of the Reformation. According to my contact, “He was raised baptist and is now an excommunicated Mormon. He’s a lawyer who is qualified to practice in the Supreme Court.” But it was this article below, which I thought readers here might find interesting. Between the death of Christ’s apostles and the Council of Nicaea, Christianity changed dramatically. It is impossible to account for all that happened to cause the changes. Although some of the writings of the Ante-Nicene Fathers (Christian leaders before Nicaea) have been preserved, the records are wholly inadequate to understand everything that happened, and why it happened. A new religion rarely appears in history. When one does, it presents a unique opportunity for us to study the process. Religions begin with an inspired leader whose confident vision opens new light and truth into the world. If there is no new vision then the religion won’t survive. But an original, inspired leader is difficult to replicate. Within a short time, the founder’s work is overtaken by others. Their insecurities and fears leave them without the confidence once present at the foundation. Believers donate, and contributions aggregate. A new generation of believers begin to notice the wealth of their movement, and aspiring leaders who would never sacrifice their name, reputation, security and lives are drawn to management, seeking personal benefit from the institution. Bold claims become hollow echoes, and leaders’ insecurity results in defensive and protective steps. Instead of moving forward with inspired new light and truth, the established religion fears and fights against threatened losses. Mormonism was founded in 1830 by Joseph Smith who claimed that ten years prior to founding a church he had been visited by God the Father and Jesus Christ. In the intervening years between the first visit and the time a church was organized, Joseph claimed to have been visited by an angelic messenger who delivered to him a new volume of scripture, the Book of Mormon. He claimed to have received revelations before founding the church, and then many more after its organization. Whether you believe Joseph Smith’s claims or not, he and his followers give a unique opportunity to witness how founding a religion sets in motion a series of predictable events that happen every time a new religion begins. Perhaps the best way to decipher the transition of Christianity from the original Primitive Christianity to its replacement, Historic Christianity, is to study Mormonism. Similar to the way the Primitive Christian church passed away after the death of the apostles, Mormonism has passed away following the deaths of Joseph and Hyrum Smith. The same process was at work in both. Primitive Christianity and Mormonism set out to change the world, and after some initial success, both enjoyed worldly success. Their success diverted attention from saving souls to managing people and property. Paul observed, “the love of money is the root of all evil.” (1 Tim. 6:10.) A new religion is not profitable for the first believers. They are persecuted. They sacrifice their lives and property to follow what they believe to be God’s burden laid on them. Because of their sacrifices, they have faith and know they please God. Without sacrifice, it is impossible to obtain the faith required for salvation. Founders make sacrifices, successors enjoy the fruit of those sacrifices. In time, the founding gives way to popular approval. John Wesley observed the price that is paid for popular acceptance is the loss of the Spirit. Churches, like the men who belong to them, are just as vulnerable to the “love of money” which leads to “all evil.” People can have the gifts of the Spirit, or they can acquire riches in this world, but cannot have both. Catholicism grew wealthy from the offerings of its members. When it owned most of the European lands and ruled over all people within Roman Catholic boundaries, it was cold, corrupt, violent and cruel. The transition from persecuted minority to dangerous majority took three centuries. With that status the original was lost. Mormonism has followed the same path and achieved the same end in less than half the time. 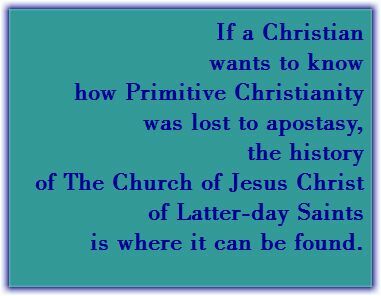 If a Christian wants to know how Primitive Christianity was lost to apostasy, the history of The Church of Jesus Christ of Latter-day Saints is where it can be found. Mormon beliefs are so unstable that they now “unequivocally condemn” 10 of the first 11 of their church presidents, including Brigham Young, John Taylor and David O. McKay. In order to progress forward, we must go back. Since we have no way to recover enough information to understand Christianity’s trek from Jerusalem to Rome, Mormonism allows Christians a view into the transition from Nauvoo to Salt Lake. Both paths followed the same tragic topography. Go Deeper: In a more recent article Denver Snuffer draws a parallel between the time of Irenaeus and the doctrinal path of Mormonism. Check out Christian Apostasy. I fear Islam because I am a Baptist. Now before we go any further, I should point out that I don’t fear Muslims. I have yet to meet a Muslim in person that I felt the need to fear. I remember one Muslim gentleman lamenting to me how his children were not attending Mosque as he would like and were instead becoming too secularized. It sounded all too familiar, being the kind of thing I hear from Christian parents. As people, we share much in our humanity. What I fear is the religion of Islam. I fear what it can do to a society. I fear what it can do to Muslims. I fear Islam because I am a Baptist. I figure that if Christianity is true then the most original version is the best example. So as a Baptist, I stand in the Protestant tradition of protesting against the excesses of the Roman Catholic tradition and against conformity to the Church of England. 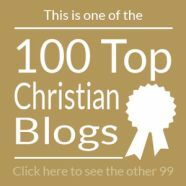 There is a lot of history leading up to the birth of the Baptist movement in 17th century England, but it can be basically summed up with: “Let us get back to the Bible and strip away all the traditions that have accumulated over the years. Let us do our best to model our faith and practice after Jesus and the earliest of Christians we learn of in the New Testament.” Obviously we don’t always do this very well, but at least we try. As we do this, we discover an inherent separation of Church and State. Jesus never tried to take political control over a state. 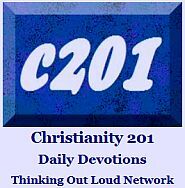 Instead he called individuals to follow him, even calling them to pick up a cross and follow. Pick up a cross and not a sword, as most revolutionaries would have called for instead. Die by Roman power, rather than fight against it. Jesus also warned his followers not to get caught up in the Jewish rebellion against Rome that was to happen soon (Mark 13:14). They were not to get caught up in a political rebellion. The earliest followers of Jesus were not about setting up political machinery. They were concerned with reaching every individual with the Good News that Jesus is Lord and Saviour. Yes, that meant sometimes not listening to the authorities and preaching up instead of quieting down. Yes, that included reaching and preaching to the political leaders themselves. Even Caesar should realize that Jesus is Lord, not he himself. But there was not a sense of political revolution in the air. This was a revolution of the heart and there was no compulsion. The Gospel was an offer to be preached, not a movement to be enforced. Christianity was not spread by military means but by preaching and teaching, even though military members were welcome, too. So as a Baptist I want to get back to the original. To do that, I study the Bible, doing my best to understand the context in which each part was written, getting back to what the original readers would have understood. My fear of Islam arises when I look to the original Islam. This past year, I spent some time reading an abridged chronologically arranged version of the Qur’an along with a biography about Muhammad.1 Islam started out as a religious and a political movement. It was not just about individuals coming to believe in the teachings of Islam but also about entire tribes coming into the political machinery of Islam. Muhammad himself was a political leader as well as a military leader and strategist. It seems he was personally responsible for many deaths. Proponents of the “Islam is peace” motif will point out how Muhammad rode peacefully into Mecca. That may tell us more about Meccans seeking peaceful political resolution than about happy conversions to religion. While there is debate on precisely what the original versions of Christianity and Islam looked like, there is little doubt that, historically speaking, Jesus bore a cross while Muhammad bore a sword. I get the allure of wanting to relive the original, of seeing it as the best and normative version, so I get it when Muslims are “radicalized” and turn to violence. If it is true, then the original is the most true. I understand that sentiment as I seek to live it myself within the Christian path. As a Baptist pastor, I rejoice when people read the Bible directly. So it struck me as odd that encouraging Muslims to read the Qur’an directly should be a worrisome thing. With this “back to the basics” approach of the Wahhabists, you could make the case that Osama Bin Laden had been to Islam what Martin Luther was to Christianity. The Reformation did not get started with Luther, but Protestantism went big with Luther. My fear is that just as any Roman Catholic today can “get back to basics” and become a Baptist, a good peaceful Muslim can also “get back to the original.” For the sake of world harmony, I hope the kinder and gentler versions of Islam are ascendant. For the sake of every Muslim, I pray that each would come to know Jesus for who he really is. There are reasons that Islam is torn between peacefulness and violence around the world. We need to be quick to hear and respond to those reasons. When suicide bombers turn to violence, it is because they believe the original version of their religion is best. I get that. That is why I fear Islam. Earlier this summer I was given an advance copy of Saving the Saved by Bryan Loritts. First of all, the bright cover (i.e. The End of Me by Kyle Idleman or The Atheist Who Didn’t Exist by Andy Bannister) set it apart from other review books in the stack, but more importantly, I recognized the author’s last name; he is the son of Crawford Lorritts who I believe was connected to some national rallies James MacDonald (Walk in the Word) hosted. 1. Jesus did not try to prove Himself and gain acceptance from others. 2. How we view eternity affects how we live in the present. 3. The futility of works-based acceptance. 4. Moving from performing for approval to abiding in Christ. 5. Letting peace have the priority over worry. 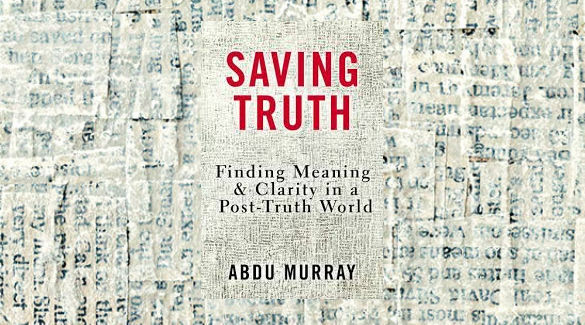 After introducing with a call to arms against a supposed meritocracy of works-based morality, the first part of the book looks at what goodness isn’t–reflecting on soul songs and the longing for the good life, pointing out the universal need for grace, reminding the reader that man-made goodness doesn’t cut it, criticizing the human tendency for pride, and looking at the transformation that results from independence as we reflect on our higher and lower natures, in five chapters. The second part of the book looks at authentic goodness by changing the focus from performing to abiding, reminding us that our failure is never final, and pointing our attention to the resurrection and its implications for us in three chapters. The third and final part of the book looks at how we practice performance-free love in our own lives by setting a difficult and painful example of forgiveness towards others, practice generosity, practice peace over worry, practice graciousness in marriage, and see genuine love as being a way of being saved from ourselves and our own bent towards inhumanity towards others in the book’s last five chapters, before a thoughtful acknowledgments section that provides some context on where the author was when he was writing this book. I spent my Labor Day reading Saving the Saved; I rarely binge read like this, but like the cliché says, I couldn’t put it down. While the core subject is countering the belief in performance-based faith, I think many of the reviewers missed the underlying scrpiture text, the book also serves as an insightful commentary on Matthew’s gospel. It also occurred to me that this title falls into a select category of books which would be a great first Christian living book for someone to read, though it is also applicable to the rest of us who’ve been on this journey awhile. A good mix of personal stories and material from other sources. Finally, while perhaps this is more reflective of the fact I’m based in Canada, I could not help but not how few books I get to read from the black community. Their voice is often heard in other media, but not so much in print, and the black pastors and televangelists most people see are usually decidedly Charismatic; which does not describe Bryan. Therefore, where the book gets autobiographical, it reflects a unique perspective. A copy of Saving the Saved was provided by Mark at HarperCollins Christian Publishing in Canada. Occasionally, I get asked about non-canonical literature; the books which for one reason or another are not included among the core canon — either Protestant or Orthodox or Roman Catholic — available in modern Bibles. My first piece of advice on this is really basic: Don’t get interested in any of these unless you know for sure that you’ve read each and every book in the Bible you already own. There is a tendency among some Christians to want to grab the remote control and see what else is on. As an Evangelical, my Bible contains 39 books in the first testament and 27 in the second. I believe that’s a minimum prerequisite for going off-road to look at things like The Gospel of Thomas or others of that genre. Once we’ve got that out of the way, I confess that I’ve often struggled with reading the non-canonical books. Either the form is unusual, or the content is bizarre, the available text is fragmented, or there’s just something about the tenor of the book that suggests it’s out of place. But I say that knowing that believers in past centuries felt the same way about Esther or Revelation or James or the R-rated Song of Solomon (aka Song of Songs, aka Canticles). Enter Jewish researcher Joel M. Hoffman, writer of The Bible’s Cutting Room Floor (2014, Thomas Dunne Books/St. Martin’s Press). What I appreciated here was instead of reprinting and analyzing the texts, the author tells me about the various narratives in his own words. While purists may question the attraction of this second-party account, to me, it fits the bill perfectly. The Tower of Babel was built for height, not fame; it’s a post-Flood account, after all. There are other stories as well, some more fanciful than what I’ve listed here. There’s also background on confirming documents. Josephus was great when he painted in broad strokes, but sometimes a bit off on details; and to call him an opportunist is a bit of an understatement. A week later, recalling the book from memory, these are just a few things that come to mind. I found the writing a bit uneven, though a friend who bought the book praised the author’s writing style. Another person who borrowed my copy for several chapters objected to the author presenting something very academic on one page, and then being too casual and informal on the next. In fairness, there was much disparate material covered here. The book did whet my appetite for reconsidering collections such as The Lost Books of the Bible and the Forgotten Books of Eden (a title I’ve held in my hands on a few occasions, but didn’t get more than a dozen pages in) but I’d be more likely to return to this one than to attempt to navigate through the original writings (the opposite choice of many, I realize). Hoffman has other books, such as And God Said, but this title is the one most easy to access or afford to purchase. …Just because it’s on the cutting room floor doesn’t mean it didn’t happen; but what we can be confident in as that God has given us in the core canon the books He wanted us to have.